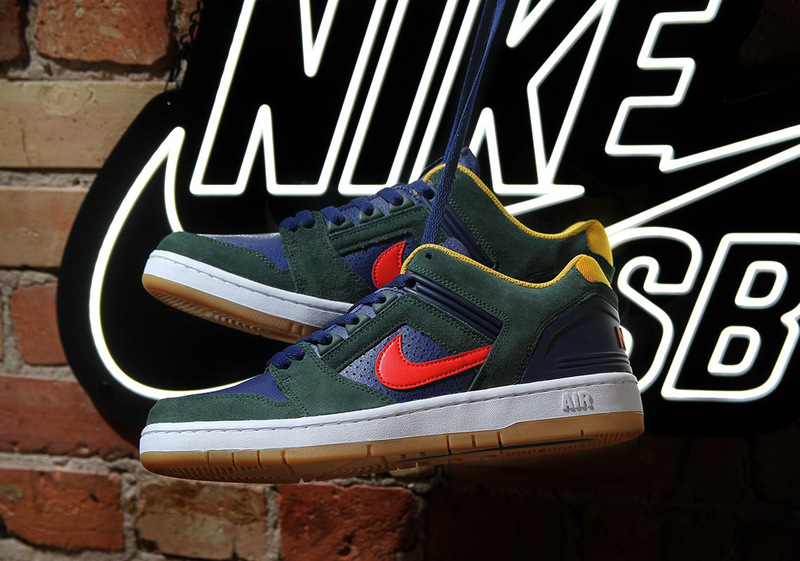 While modifying Nike’s basketball shoes of the 1980’s into skate-ready options isn’t a new concept, the Air Force II Low is getting some extra attention as yet another new selection hits shelves across the globe. While this blue, red, green, and yellow colorway doesn’t have any official markings of sorts, the color palette is certainly reminiscent of the big youth fashion trends of the 1990’s pioneered by Polo, Tommy Hilfiger, and Nautica. There’s certainly that Snow Beach affect going on, while the hunter green suede adds even more of that prep-to-street brand identity that was so huge in that decade. Grab a detailed look at the newest member of the Air Force 2 family below and log onto retailers the likes of Premier to snag a pair today.